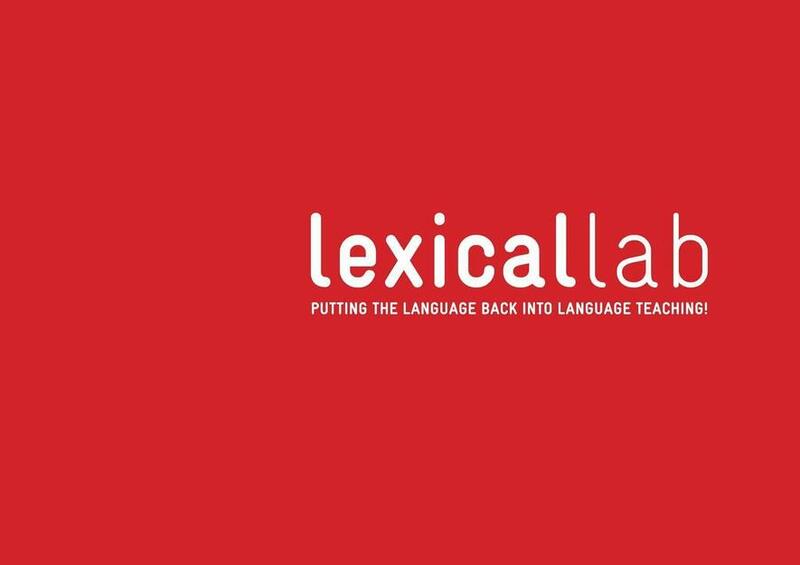 Lexical Lab is Hugh Dellar and Andrew Walkley, authors of Teaching Lexically (Delta Publishing) and the best-selling General English series Outcomes (National Geographic Learning). Between us, we have fifty years of excellence in English language teaching – and we are very excited to be able to tell you about a new summer school programme we'll be running in north London this July and August. We offer short teacher development courses courses on ADVANCED LANGUAGE AND CULTURE, TEACHING LEXICALLY, BETTER TESTING AND ASSESSMENT and DEVELOPING MATERIALS as well as language development courses – ENGLISH BOOST and BASIC ENGLISH FOR EDUCATORS. We're registered for Erasmus+ and our PIC number is 931866585. I would like to say many thanks for Developing materials course with Lexicallab in August 2017! Starting from Day One, when we covered the main principles of lexical approach, then going through the general outlines and developing tasks for teaching vocabulary, conducting different types of reading and listening lessons, teaching grammar and finishing with issues and taboos when developing materials, Day Five – it was just a fascinating, informative and enjoyable time! Moreover, the aspects we covered were backed with the practical sessions when working in small groups we had a chance to implement the ideas we discussed earlier that day in our developing materials on the particular lesson. Then our tutors shared their own views on the merits and drawbacks of the materials we presented to them with us, which was certainly a valuable asset! And here, just a couple of words about our tutors – Hugh Dellar and Andrew Walkley. But for them, highly dedicated and competent professionals, it would not have been so much fascinating! Thank you for the time you spent with us, for your enthusiasm and experience that you shared with us! I would highly recommend this course to the teachers of English, both for its academic and cultural program, and for the precious time with Hugh and Andrew. My dream is to take a course next summer and I hope it will come true! I had the most amazing experience being with Lexicallab at The Developing Materials course in August 2017. It is one of the best Teacher Training courses I have ever attended. Everything was outstanding- the course, atmosphere, participants, social an cultural activities! I am short of words to thank you, Hugh Dellar and Andrew Walkley, for the inspiration that I got from you. 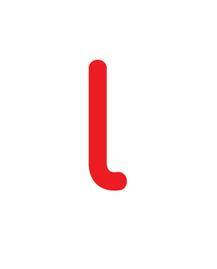 One week training period at the Lexicallab was a lifetime experience for me... I learned many new things and I am definitely looking forward to apply it. Besides techniques, what I learned from You, is to be focused and dedicated for the work you love ... As You always do. You are the Constant source of Inspiration for me and many more!!! Thank you so... much. Got back right now from Developing Teaching materials course organized by lexicallab. An amazing course, that gives you the tools and mechanisms of how to create your own materials that will moivate and encourage your students to learn English. Many thanks to Andrew Walkley and Hugh Dellar. It's been an honour to meet the authors of the best ESL series Innovations and Outcomes in person and learn from them. Special thanks for cultural and social activities Hugh and Andrew have organized for us and places off the beaten track they've shown. It's been a great experience and pleasure to meet wonderful colleagues from all over the world and share our experience. Looking forward to Lexicallab Summer School 2018! I have just returned from the brilliant course BETTER TESTING AND ASSESSMENT which I’ve done with LEXICAL LAB in London. The course was run by leading experts in this field and real professionals Zeynep Ürkün & Richard Spiby. The course made me change the perspective on the assessment in my context. After it I have a clear view what I need to do in the near future with longer-term goals in mind. While doing the course I got answers to my burning questions. The course exceeded my expectations! It was informative and exciting, the opinion of the experts being really valuable! The important part of the course was the social programme done by Andrew Walkley and Hugh Dellar. That part was amazing as well! We’ve done tours about London, had an insight into the city from the point of view of Londoners, went to a musical, visited Oxford and many other things! The guys were very responsive to our wishes and changed the programme according to our desires. The communication with them was pure pleasure. It’s a great opportunity to ask and learn any question you are interested in, whether that’s a problem with teaching/learning, interest in culture and trends or language peculiarities. I can’t recommend it highly enough! It’s was fascinating! The Teaching Lexically course I took with the Lexical Lab was just great! Firstly, it was packed with information and practical ideas, much more than I’d expected. The sessions contained a lot of input and also opportunities for discussion and sharing experiences with peer teachers. The structure of the course (it first looks at teaching language systems and then skills with the Teaching Lexically approach) made it easy to follow the concepts the trainers were introducing. Secondly, the information in the course was really well organised: all course materials like handouts and presentations are easily accessible through a nice online platform, along with additional opportunities for extra reading on the subject of sessions. Finally, the sessions were really enjoyable because both Hugh Dellar and Andrew Walkley are very professional and knowledgeable. I took the Advanced Language and Culture course. I've done so many language courses before and can certainly say that this is one of the best ones. First of all, Hugh and Andrew (the guys who run the course) were very flexible when I needed to change the dates of the course. Talking about the classes, they were super learner-centred. I had the best language upgrade possible for a short language course and got rid of some mistakes in my language. The cultural programme supporting the course was just amazing. The teachers were with us during the tours, which was very beneficial for the language practice. And the places we visited were off of the beaten track—they are just superb and it's not easy to find them on your own. And the teachers themselves—Andrew and Hugh—were super-professional, using both textbooks Outcomes (written by them) and extra material to teach you the language that you personally need. All in all, a great course, highly recommended! Personally, I do recommend it to friends and is eager to do one more course with LondonLexicalLab! Being a mature teacher who’s ‘seen it all, done it all, got the t-shirt’, I had hoped for a chance to learn some bits and pieces, brush up on my English and meet some nice people. Well, taking into account the renowned teachers, my hopes had been a bit higher than that before I left for London for the course called Advanced Language and Culture at Lexical Lab. What I did get has exceeded all my expectations! The course was perfectly prepared and thought over by Hugh Dellar and Andrew Walkley (I can’t imagine how much time it must have taken). Everything we learned was so up-to-date, fascinating and absolutely useful for understanding the present situation and lives of different social groups and communities in the UK. It would be impossible to get this insight even from reading the press or searching the Internet daily. We got the first hand experience, knowledge and opinions. On a more practical side, now as I have started teaching a summer course, I can clearly see how my ‘whiteboard management’ has changed and improved. I write chunks of vocabulary in the way Andrew and Hugh did. It’s a little thing, but helps so much! And don’t get me started on the cultural programme – no Buckingham Palace or Big Ben; no obvious tourist attractions. Like most of the participants, I’ve been to London a couple of times, but the places we were taken to were never on my itinerary before. I loved the Old Bailey experience, Kew Gardens with its guided tours and the tree-top walk, Hampstead Heath, Dennis Sever’s house, The Globe in the scorching July sun, to name just a few. Andrew and Hugh were with us all the time and shared what they love about London. They were ready to help even with some minor issues everybody had (like printing our boarding passes…). They kept in touch all the time, supplying us with all the materials on Padlet and by emails. I recommend this course with all my heart. I just can’t imagine anything better for an English teacher who wants to learn and explore what London and its culture have to offer! Just came back from two amazing weeks in London where I attended the course Advanced Language and Culture at Lexical Lab! I can't thank Hugh Dellar and Andrew Walkley enough for this enriching experience. Since my first e-mail asking for some more information I could feel all the dedication they were putting through to run the course successfully. And the result couldn't have been any better. As teachers from different countries, we had the opportunity to go deeper into topics that we sometimes get in touch with, but are not quite sure we understand 100%. Housing in the UK, Family, Youth, Women's Issues, Literature and Brexit are just some of the topics we discussed. Moreover, we had the chance to improve our knowledge on the language by learning new vocabulary, collocations and idioms with lots of speaking and exchanging of ideas. Everything was harmonically intertwined - language, culture, our own experiences. Finally, I can't forget to mention our outings with the teachers, which were related to the topics discussed in class. Excellent opportunity to get to know London beyond Big Ben and go to places we don't normally go when on holidays. To sum up, highly recommended course with great teachers! Definitely adds to broaden our horizons. I'd like to say many thanks to Hugh Dellar and Andrew Walkley for such an amazing course I've completed recently in Lexical Lab summer school in London. From the very first day I applied for the course they kept in touch and were really helpful replying promptly to everything that worried me, as well as recommended a perfect place to stay. I found the course really practical and full of helpful tips. It covered all the aspects of teaching English and we also had a chance to try and come up with our own ideas of implementing the tips right in the class which then were discussed and after that our teachers shared possible options of working with listening, reading or whatever we were talking about with us. What's more, we could experience how it works as we were often suggested to do the activities with each other. I'm really looking forward to the new academic year to implement the knowledge I got at my classes. I must admit the course was absolutely inspiring and I took a fresh look at teaching. An unforgettable and unique experience! After attending Advanced Language and Culture with Lexical Lab in London I’m 100% sure it was the right decision to choose a course run by this pariticular institution. Andrew and Hugh know their job and provide learners with the highest quality of teaching. During the course we all had a chance to share and compare our own experiences with people from other corners of the world. The course enabled us to broaden our horizons by touching upon up-to -date topics such as Family in the UK, Immigration, Brexit, Education and Youth, Class Division and many, many others. We were provided with a huge array of contemporary phrases as well as a handful of ideas on how to revise vocabulary in our own classrooms. We also had a unique opportunity to discover London from another angle by visiting places such as Hampstead Heath, Brixton, Shoreditch, which are not to be found in a typical guidebook. During our unforgettable field trips Andrew and Hugh revealed a lot of details and peculiarities concerning the spots we were sightseeing and encouraged us to try cuisines from many different parts of the world, e.g. Jamaican patties or Turkish Gozleme . Andrew and Hugh’s friendly and tolerant attitude towards the group created a special atmosphere which fostered learning and encouraged everyone to express their opinions freely. What was truly unique was that our tutors gave us a sense of influence on the course content thanks to the pre-course questionnaire we’d filled in. Frequent and varied revisions as well as additional materials and sources provided on a padlet have made the experience even more memorable. Thank you, Andrew and Hugh, for creating such a brilliant course!